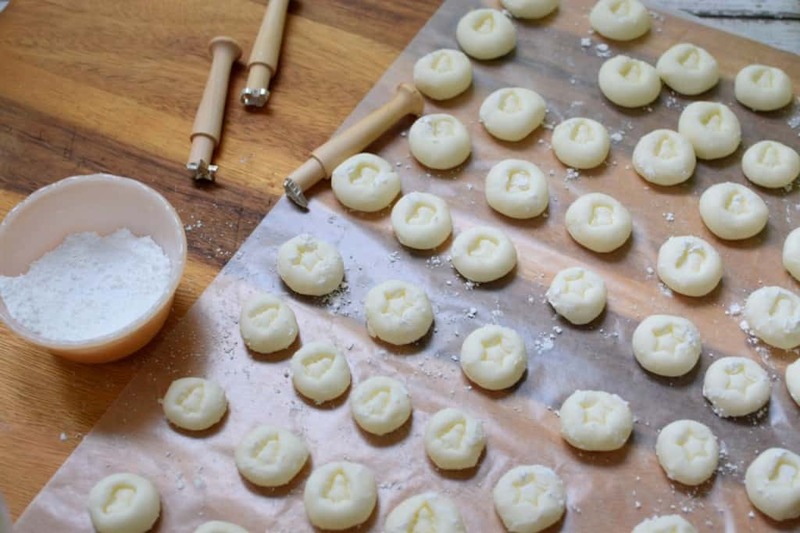 These delicious little mints melt in your mouth, are a cinch to make, and disappear quickly. Even better, since they’re so easy, you can turn out a whole platter of them for a party or work function in no time flat. We’ve already made three batches this season. I made two to send to my husband’s work and when they requested more, Katy made a batch all by herself. 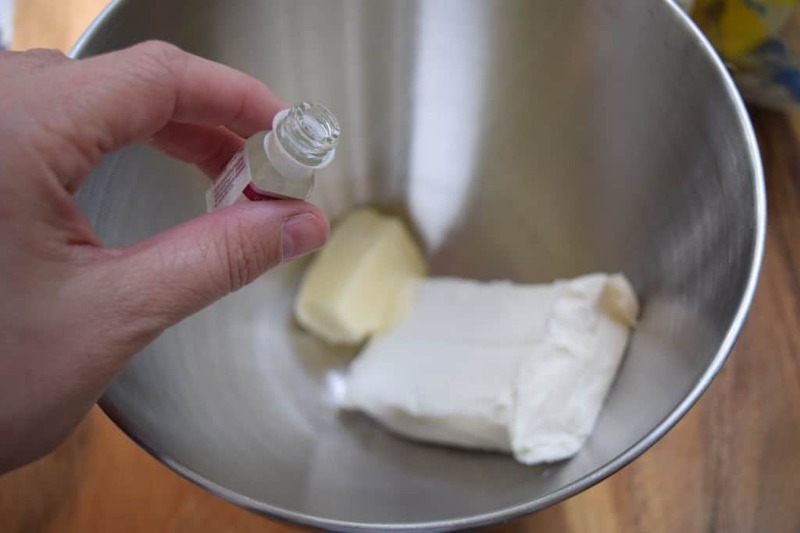 All that is needed is to mix up the ingredients in a bowl, pinch off bits and roll them into a ball, and stamp or flatten them out a bit to make the mints. You can even color them if you want to. Make them pink or baby blue for a shower, red and green for Christmas. Whatever cranks your tractor or keeps your tractor idle, whatever your desire may be! 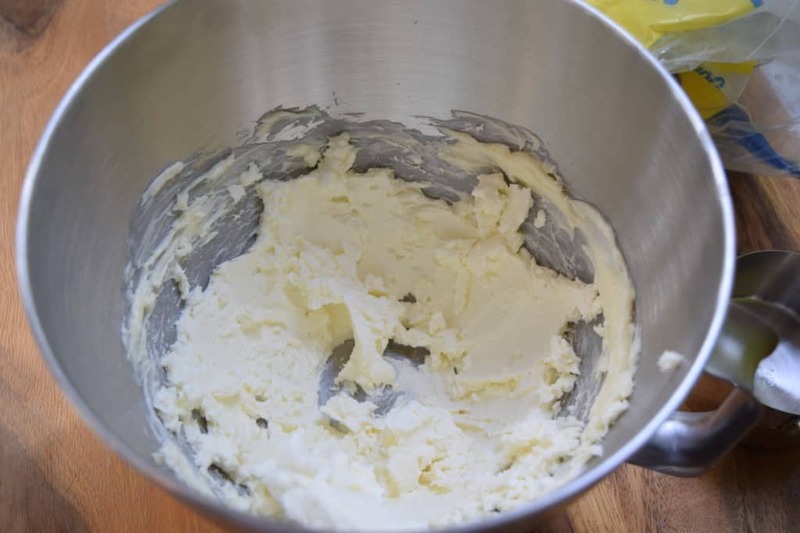 You’ll need: Confectioner’s Sugar, Butter, Cream Cheese, and some Peppermint Oil*. *This is usually found in the craft department at WalMart during Christmas time. You can also find it at places like Michael’s, Hobby Lobby, and JoAnn in addition to specialty bake shops and such. It only costs a few dollars and will last ten forevers. Note: Peppermint oil is very strong. Use sparingly and if you get it on your fingers, don’t touch your eyes 🙂 Also, make sure the package specifically says for candy and baking. I have heard a lot of the essential oil companies (DoTerra and Young Living) sell oils that are food grade and safe for consumption – I’m not talking about those here. I have never used them and have no idea if they are equivalent in strength or flavor. You are welcome to try but just know that if you go that route, you’re going rogue and it may or may not end up being the same recipe as this. 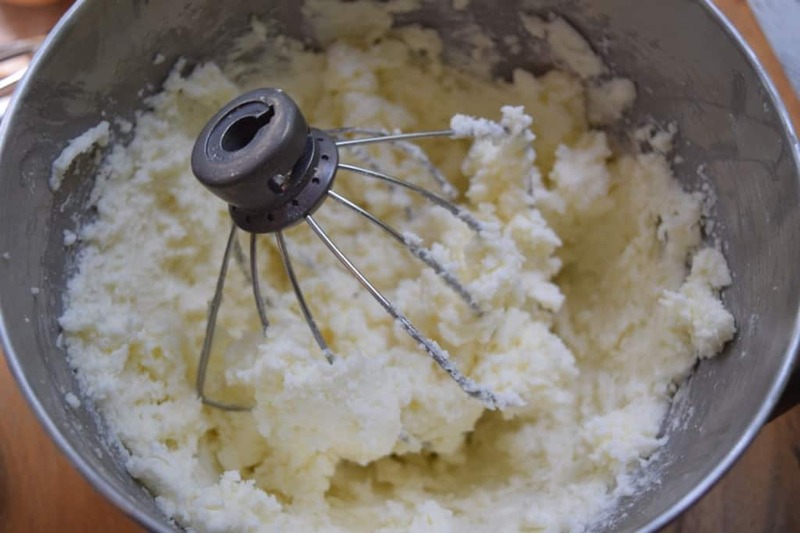 Cream that together with an electric mixer until it is nice and fluffy looking. 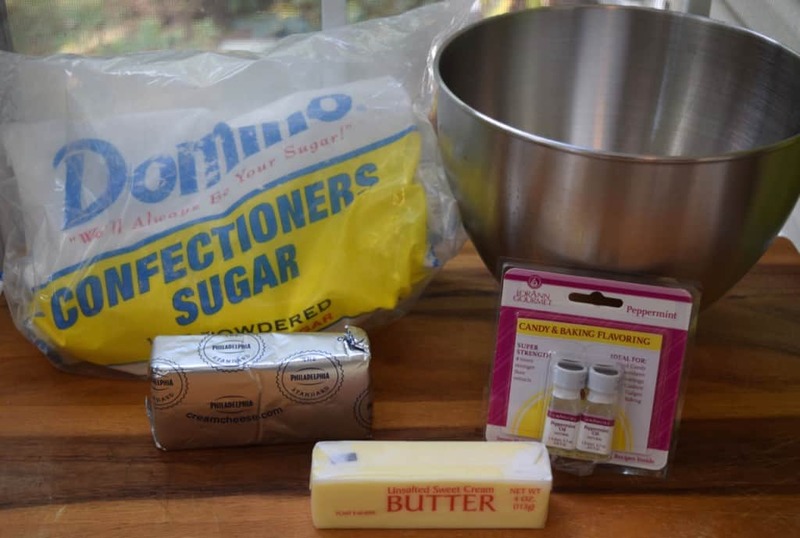 Gradually add in your confectioner’s sugar. This is code for “Dump it all in at once”. Beat the mess out of it until it is well blended, scraping down the sides if need be. Now, it is going to seem dry as a bone at first and you’re going to think this is never in a million years going to come together. Then two minutes later you’ll exhale and say “Oh! There it is!”. If, for some odd reason, it is too dry (I blame aliens), add a tablespoon or two of milk and beat again. It should be like a stiff cookie dough. Only it’s not cookie dough. Because you can eat it without people freaking out over salmonella. 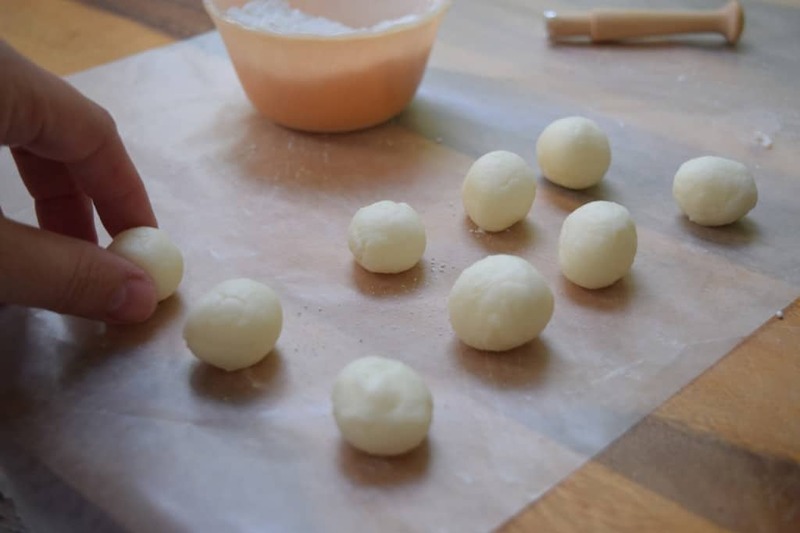 Make little one inchish balls of the cream cheese dough. 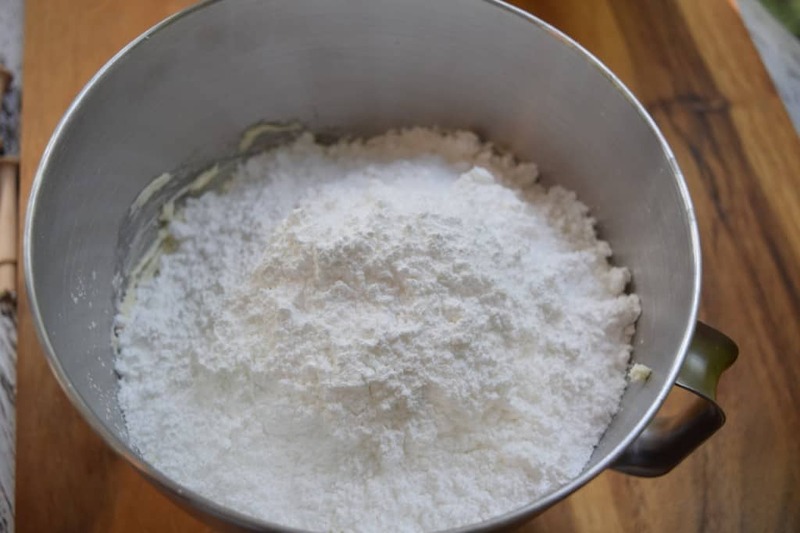 Roll ’em in some more confectioner’s sugar and then place on waxed paper or parchment paper or aluminum foil – whichever you grab first or whatever falls out of the pantry. Now it is time to press them down with your finger, the tines of a fork, or some little stamps. Of course, you can leave them as little balls if you want, too, and just call them snowball mints. Seriously, the glue gun is my homie. A few weeks ago, I even made a case for my son’s marching snare drum with a glue gun, a storage bin, and an egg crate mattress. That may not impress you if you’ve never priced marching snare cases so you’re gonna have to trust me that you should be impressed with this. I used to say that I could likely save the world if given a chance to make enough banana pudding, but nowadays I know that isn’t true. I went looking for actual small stamps but was unable to find any. Okay, I found some but they only came in a set and that set was $29.99 so I didn’t feel the least bit tempted to buy it. After coming up empty handed while shopping for the easy solution, I had to get creative. Some of the best options are often found this way. So, I had these tiny decorative buttons that I’d purchased at Hobby Lobby in the Christmas craft section (I’ve also seen the exact same set at Michael’s in the kid’s craft section by the foam craft stuff and I think this is the same thing here on Amazon) and I bought some little shaker pegs and hot glued those puppies onto the end of them. Boom, instant mint stamp :). You can use regular buttons (tree shaped if you like), the tines of a fork, the bottom of a glass, or even carve a shape out of the bottom of a carrot if you want – although the carving a carrot thing is a bit too time involved for me to go there just to make a few mints. If it were me and I didn’t have the stamps I made, I’d just press them lightly with my fingertip to flatten a bit. If you end up having a stamp (or using a fork), just gently press the design (or tines of a fork) into confectioner’s sugar and then into the mint. Here is me doing that exact same thing with a stamp I made. Because God loves babies and mints – of course! Now, let mints sit out for a few hours to dry. I flip them over after about an hour or so to help speed the process. They are ready when you pick them up and they don’t feel tacky. Store them in a sealed container in the fridge or at room temp if you are going to eat them in a day or two. Add 7 cups of confectioner's sugar and beat again until dough like in consistency. It will seem stiff and dry at first but after a minute or two it will come together. 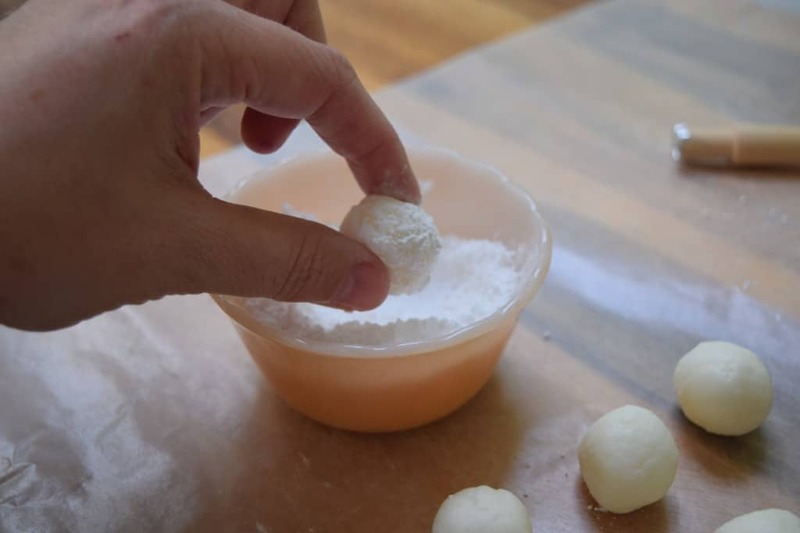 If it is too dry to form balls after you are done mixing (this is rare), add in a tablespoon of milk and mix again. 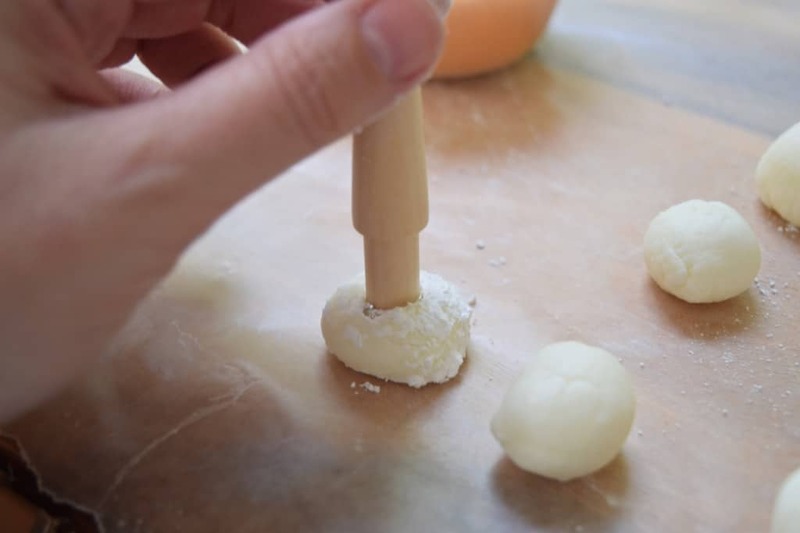 Roll each ball into confectioner's sugar and flatten slightly with your fingertip, a fork, the back of a spoon, or a tiny seasonal stamp. Can tint with food coloring to match the occasion if desired. Wedding shower, baby shower, holidays, etc. 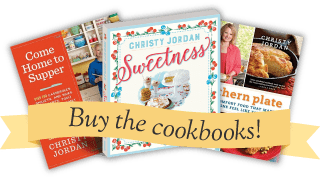 Please read entire post (above this recipe) for additional instructions and tips that might prove helpful. those are adorable! Thanks for the recipe and the stamp instructions! Christy: Is it possible to make these using just vanilla extract? I want to make these today, but do not like peppermint. HELP, please. When I make these I just mix in a pack of unsweetened Koolaid or other powdered mix. You get a pretty color and great fruity taste! We like the lime and cherry the best, which works well for the holidays. love the idea of lime…..wow…..would really be good…thanks for posting.. I used to make a bonbon similar to this many, many years ago! The recipe I used was a bit different and was called Coconut Pastel BonBons. I used vanilla instead of mint flavoring but you could use mint. At Christmas time I divided the recipe in half and tinted half pale green and half pale pink and made small round balls of the mixture. I put flaked coconut in two fruit jars with a little food coloring (one jar for pink and one for green), and shook it until the coconut was completely covered. (I added a half teaspoon of water to help dilute the food coloring). I then spread each color of coconut on a cookie sheet and put it in the oven on 350 degrees for a couple minutes, just to dry it out a bit. Then roll the pink balls in pink coconut and the green balls in green coconut. It makes a pretty display on a plate and tastes great. Yummy! I am not a fan of peppermint so could I use almond extract in it’s place? i hate peppermint, but i bet these would be amazing done up with horehound flavouring! It’s been years since I have heard anyone refer to “horehound Flavored” candy. I never liked it, but many people do. I bet there are lots of people (of course, much younger than me) that have no idea what it is. We can buy it here, still. I wonder if it is just heard of in certain regions? Horehound is not my favorite, but my mom loved it . We can still get it here. I believe Cracker Barrel carries horehound flavored hard candy. You’re right! I saw horehound candy sticks there just the other day. Joyce, I have used “mint” flavoring by Schilling for years. Very subtle cross between spearmint and peppermint. It’s very fragrant and tasty. Strawberry goes well with pink coloring for baby showers and the ideas are limitless! Is your Fiance annoying, or does he just have a sense of humor? Does this hrirobly annoying individual know that you take him shopping just because you need a bag boy? If you were fully human, you would have written something such as, I always take him shopping because I just love being around him and working together; he can be really silly and put gross items in the cart like pigs’ feet. I didn’t catch him the first time! Alas, you aren’t. Why is it that men are lambasted for objectifying women, yet women who use men are not? How cute are these???! Can’t wait to give it a try. I hope you get the chance to soon Dianne! You too Judy!!! I hope you have a very Merry Christmas!! Those stamps are genius material! LOVE them! By the way…..the Young Living peppermint, mixed with some coconut oil, rubbed on your forehead, should help with your headache! Love this idea and plan to use it on our family baking day! I hope y’all enjoy Teresa! Well those are so easy and as cute as a bug’s ear ! Love the stamp idea you came up with, too !! Now I’ll have to go through my button box and see what I could use to make some nifty stamps. Can hardly wait. You and Katy could go into the mint business. Thank you Debbie!!! Can’t wait to see what stamps you come up with!! Love these & can’t wait to make them. I do appreciate your info about making the Christmas stamps. As your Grandmama would have said, “Well, God love it” Awesome! Is peppermint extract different from peppermint oil? Just checking before I run to the store! Extract and oil are definitely different. Oil is much stronger. Often recipes suggest substituting 1/8 tsp oil for 1 tsp extract to start. So if you used extract in this recipe, you would use more than the 4-6 drops Kristi suggests. But even then, start with a small amount– 1/8 tsp of extract and work up to taste from there. You can always add more! It’s cheap enough to have the peppermint oil in your cupboard though, to get the right amount in your recipe. Yes Kristi, the oil is much more concentrated than extract. I usually have to look for the oil at craft stores. Thank you for the post and the great ideas! Can these mints be frozen and used for a later occasion like a graduation? I have never froze them Donna but I can’t see any reason why that wouldn’t work. I can make myself sick eating these; I LOVE them. My favorite “shower” foods are these mints washed down with red punch – sugar overload for sure!!! Some of my favorites as well Erika!! I can never get enough of that punch! 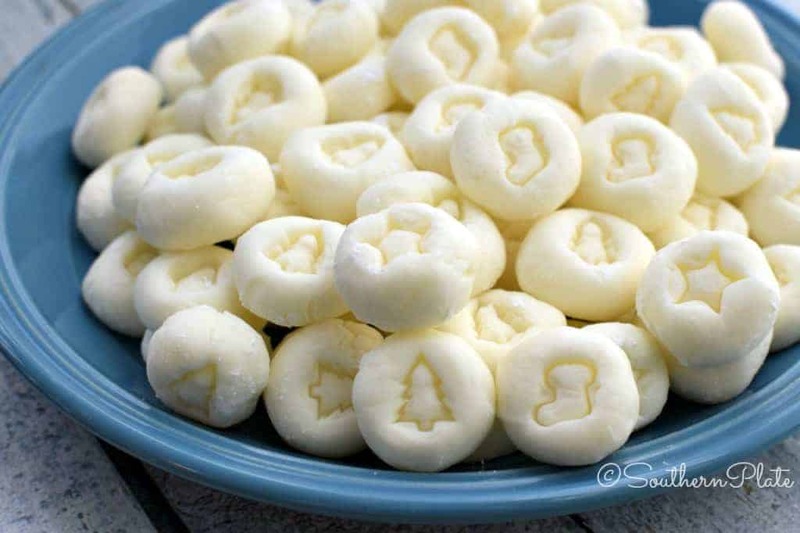 Holiday mints are on my list…. and I’ve got everything to make these! 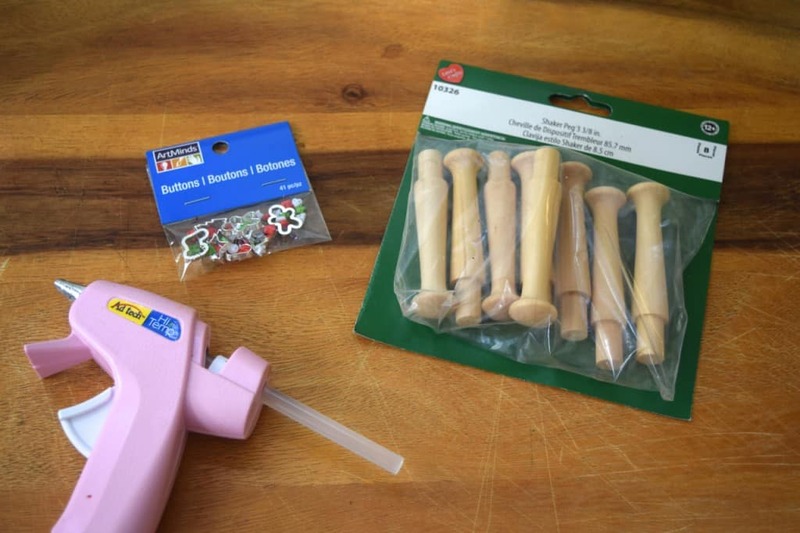 Well, except that glue gun…..
LOL, I hope you enjoy them Debbie!! Christy, I totally agree with you on a gal needs a glue gun. I don’t think I would have gotten my daughter through pre-k to 12th grade without a glue gun. I even sent a low temp one and glue sticks to college with her since ol’ momma wasn’t going to be in gluing distance for all of the gluing on the projects. I love this recipe. I always buy every flavor of the oils I can get after Christmas when they go on clearance. Like you said they last forever. I have cherry oil so I will make a batch using it and top them with a few pieces of diced maraschino cherries. I nor my daughter are much on peppermint. I also have a black walnut oil I am going to try a half batch on don’t want to ruin a whole batch, but I do love black walnuts they are awesome in anything apple. Ohhh, I bet the cherry ones will be good. Let me know how both turn out!! I am definitely going to make some mints this Christmas. and for sure am making the stamps. this is a great idea. Thank you Teresa, I hope you enjoy them!! So glad you posted this. Since we moved to Florida my daughter says that this is the one thing she misses from the good North Alabama cooks when we go to wedding/ baby showers or teas down here. We’ve not run across them in Florida yet. Now we can make little cream cheese mints to our heart’s content. . . and enjoy them anytime of year! Thank You! I hope y’all enjoy them Angela!! I’ve been making mints similar to these for years, but I use almond flavoring and no butter. I’ve always rolled them in granulated sugar and pressed them into candy molds to shape them, which is very time consuming. I love the idea of rolling them in a ball and stamping them. Now I can let my granddaughters help. Thanks for the great idea! I hope y’all have fun making them Kim!! These would be great for a wedding, just use two bells. 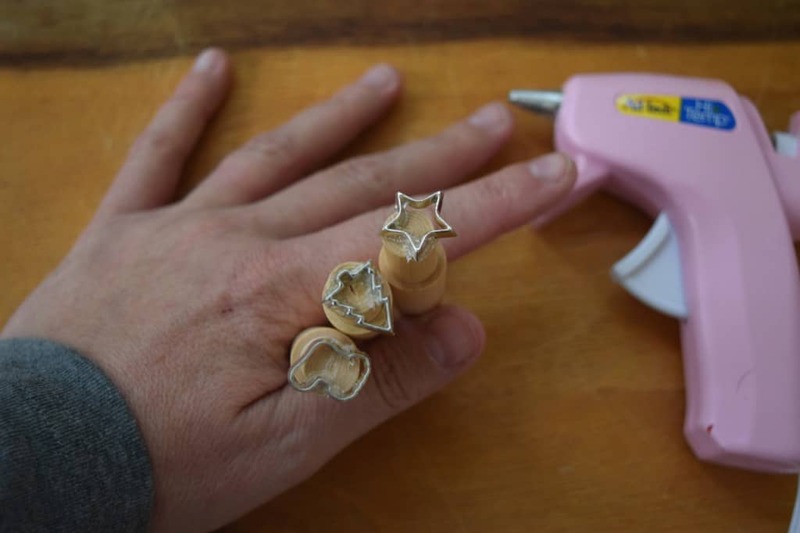 You have the best ideas, so many uses for the glue gun. Christy, went to the local craft shop to get some black icing paste colour, don’t ask! Its for another project for Xmas goodies. While there I looked for stamps, none, and I know the other shop in town doesn’t have any, we don’t have Michaels within 80 miles, and so will have to look around and see what I can see to make some. However they did have candy molds so bought two and will make them in those. I also can’t find oils anywhere so bought some cinnamon and I have peppermint extracts. So will give these a go, colouring them red and green! LOL Original to say the least. I did manage to get some dipping candy coating while there so could even coat them if I wanted. But seeing as how I have 50 other projects to go too, that seems like a bit much. Great ideas!! I am not sure about dipping them, the hot coating may melt the mints but I would love to hear how it turns out if you try it! Can these be frozen? I like to make things ahead since I make several different cookies and candies. I have never froze them Starr but I can’t see why you can’t. Thank you! =) Merry Christmas!! Hey there. question for you. Can these be stored in the freezer for use several months from now. I’m getting married in June (Hooray!!!!! ), and I think these would make wonderful favors In those little organza bags, but mine is a DIY wedding, and I don’t want to be stressed right at the end making mints. by the way I am a bride who is a grandma, or A grandma who is a bride. and when we are married I will be a great grandma! I have never froze them but I can’t see any reason why you couldn’t. Congratulations on your upcoming wedding!!!! Thank you! Looking at all the comments you have inspired quite a few brides with your mints. I’m excited to try making these. I think I will leave them white and put them in navy blue organza bags for the favors. Ohhh, Congratulations Amber!!! I know you were a beautiful bride!!! Can’t wait to try these!!!! I have used other recipes to make mints with the mold and such and they turned out such a mess. This looks like so much fun!! And they are precious. Need to practice making them – have a son getting married in May – great for the dinner. Oh, these would be great for that Jan, congratulations to the couple!!! This is awesome, and I don’t know which I like better, the easy mints or the cool, creative stamps you made! And your posts are always so on time, Christy! I have been contemplating today about what to make (easy) for treats for a think this weekend. THANK YOU!!! Thank YOU Reta!! I hope you enjoy the mints! I’m getting married in 15 days, and it is a winter wonderland themed reception, and we are pretty much making everything ourselves, and this recipe came at the perfect time. I am going to make one batch today just as a trial batch, and then we will make the rest next weekend. Thank you for this. I hope you enjoy them Melissa!! I found the exact stamp supplies easily at Michaels and got home but, alas, couldn’t find my glue gun. Super glue worked though! Christy, I just want to thank you so very much for your year long encouragement, inspiration, and fun!! You really lift my spirit. oh my goodness, thank you Grace!!! I hope you enjoy the mints!! Hi Christy! I was just reading all the posts about different flavors and tastes and it reminded me of the Eqyptian Rose Water Cookies that I loved making and eating when I was in high school. It’s very mild, literally rose glycerin water, and it was used very sparingly. You could probably make your own like I did by steeping rose petals in boiling water in a teapot. Add just a little virgin coconut oil instead of the glycerin and make it to taste. I’m sure going to try it since you all jangled that memory in my head. I already love the butter mints, now I can try a different flavor. Thanks so very much. Merry Christmas, Happy Holidays and Happy New Year or Feliz Navidad in case I don’t get to write between now and then!! Great idea! I hope you have a very Merry Christmas as well!! !